Channel Grabber is a inventory and stock management software solution. It is a multi-channel ecommerce management software (including eBay, Amazon, and Play.com) that keeps track of the inventory across all your web stores, lists all your sales channels so you can see them in one place, records all of your online orders and allows you to pick, pack and dispatch. When you update stock levels on any of your platforms, Channel Grabber updates this information everywhere you sell online. This lets you offer all of your stock in all of your web stores and manages the inventory levels for you. When you make a sale, it will be automatically recorded in KashFlow as invoices and attached to the right customer. 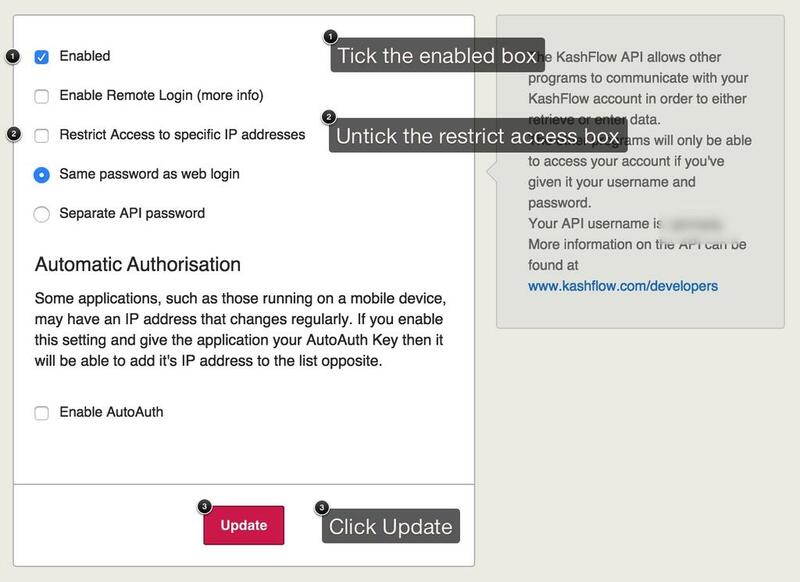 Then, sign in with Channel Grabber’s Modules and enter your KashFlow username and password. Once this is set up you can really get started! For support, please see ChannelGrabbers support centre at http://support.channelgrabber.com/ or contact them directly at support@channelgrabber.com.